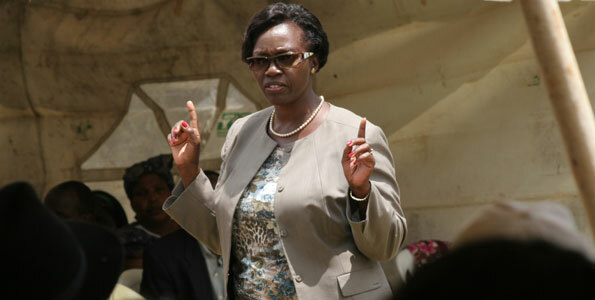 Is HMK (Hon Martha Karua) Being Honest In Now Saying She Cannot Work With Raila? In my series on HMK (Hon. Martha Karua), I have been examining this Kenyan politician and her quest for the presidency. In Way To Go HMK (Hon Martha Karua), I complimented HMK for taking the position she could not work with Uhuru but expressed her willingness and readiness to work with Raila. In the same breath, she said she could see her supporting Raila because “he has a lot of history on reforms” even though she lamented his office was letting him down by tainting his image. Meanwhile, it has in recent times been rumored that HMK is on the shortlist of those Raila is considering as running mate. It is now being reported by the Standard that HMK is vehemently denying any such development regarding working with Raila. “I do not share any values with the Prime Minister nor do I admire his brand of politics,” declared Karua whilst urging voters to send him home, the Standard reports. This is an intellectually dishonest statement to say the least as shall be shown below. HMK cites lack of shared values as her reason for not working with Raila, which is precisely the same reason she cited in not working with UK. 1. Erode the power of impunity through a new spirit of CONSTITUTIONALISM (emphasis here and below theirs). Putting aside the question of whether this is an expression of ideology, it’s not, strictly speaking but let’s for the sake of argument assume it is; we’ll then have to compare her “ideology” with Raila’s ideology and vision expressed below to objectively assess whether or not HMK is genuine in offering lack of commonality in ideology as the reason she’s opting not to work with Raila. I’ll let UK sycophants handle the same question for him, not to say I am one for Raila, which I am not despite the tired chant from the other side that I am. Anyway, I digress; back to this analysis. Therefore, there is great need to increase government spending on the health sector, introduce a national social health insurance scheme, improve hospital infrastructure, upgrade rural hospitals and build new health centres in remote areas by using public/private partnerships, boost the fight against HIV/Aids through education and counseling to promote behavioral change, continue to encourage population control strategies, expand safe motherhood programmes in all districts by ensuring that these centres have improved referral systems, communications and transportation facilities and achieve full TB, polio and measles immunization. [Raila’s] plan is to dedicate increased resources to the law-enforcement arms of government, by modernizing their training, equipment and housing, improving their pay, and introducing life insurance, health insurance and a modern retirement scheme, maintain law and order and be tough on crime, by apprehending, trying and sentencing offenders, and tackling the causes of crime, recruit and train more police officers, ensure adequate resources for training, the purchase of modern communications equipment and transportation, and the forensic science capacity to investigate crime. [He also] plans to engage people in active crime prevention through Neighborhood Watch schemes and community policing, seek to regulate the private security industry, so that it works in partnership with the police in the battle against crime, establish a national crime squad to provide an effective, nationally coordinated approach to organized crime and be tough on drug-abusers and drug-pushers, as drugs are root causes of crime, especially in urban areas. [Raila’s] plan is to review the functions and efficacy of the institutions set up by the government to fight corruption, use the criminal justice system to ensure conviction and appropriate punishment, with mandatory prison sentences, for those convicted on corruption charges, lead in the interest of the many, not the few, and build a future Kenya in which we all have a stake, restore trust in politics by discharging my duties through consultation and inclusivity, guarantee to build a Kenyan society based on fairness and equal opportunity, where merit comes before privilege, introduce Community Relations legislation to prohibit any discrimination on the basis of ethnicity and encourage the Kenyan diaspora to invest in Kenya and to take an interest in playing an active political role at home and abroad. I value their skills learnt abroad and we need to harness those for our common good. Other things Raila hopes to do as president in fighting corruption, include “addressing the issues of ethnicity and inequality in our country as a topmost priority. [He] believes that the government, which represents all the people, not just one interest group, has an obligation to remove those obstacles that hinder individual achievement – obstacles emanating from tribe, gender or economic condition. [He] guarantee their removal by using anti-discrimination legislation similar to that which has been successfully employed in other countries. If we can consign tribalism to the Museum Of The Sins We Need Not Put Up With, let us do so in this generation, not the next. Raila has a detailed plan to ensure food security for all you can read all about it here, ditto for improving the government’s fiscal management you can read all about it here as well as redistribution of resources and opportunity which you can also read all about it here. When you compare these two policy and/or vision statements put forth by Prime Minister Raila and HMK, therefore NO difference in what HMK has as her “ideology” or policy when compared to what Raila has as his vision for the country; in fact, everything HMK has stated as her “policy pillars” is included in Raila’s vision, which is broader and this in turn means when HMK says she will not work with Raila because she does not share any “values with the Prime Minister,” she’s being both intellectually dishonest and disingenuous at best. That brand does not call for her to be his running mate as many, including her, had hoped would be the case. That, in the end, may be the reason and, in fact, is the reason HMK has crossed out Raila as someone she could work with if and when she folds her own quest for the presidency, which is all but certain to be at the of the first ballot, if there is Round 2, which many including yours truly doubt there will be one. It may also be the working of a strategy to lurk nearby should the hyenas be forced to leave their kill. That strategy will be a win win for Raila and ODM but, even more importantly, one can never say never especially when it comes to politics. HMK could, indeed, take swallow her own words and agree to work with Raila anytime were she to deem that necessary in her own political interests. Unlike all other politicians, Raila hardly ever closes his door even for those who have shut that door tight as they leave in a huff but he opens it right back up and keeps it wide open in the event they find no greener pastures elsewhere as they always don’t. And many shall come back right through that door to the open and embracing arms of Raila and ODM. More the reason I have been urging people to start practicing saying or getting used to hearing quite a bit of the majestic words, His Excellency Raila Amolo Odinga.